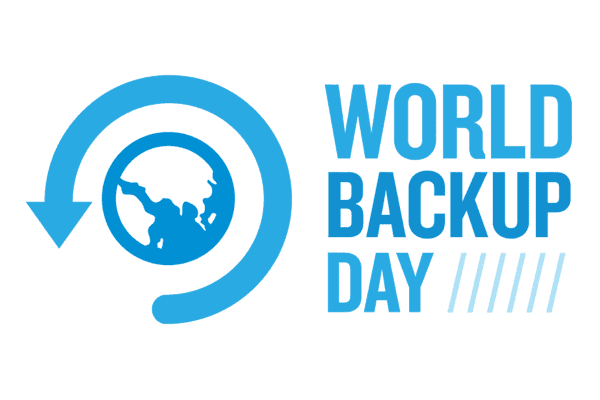 Can we start though by stating that we hope World Backup Day does not lead to you relying on an annual backup to protect your information! The importance of a suitable backup strategy is generally underestimated until such a time that some unforeseen occurrence results in a recent backup being needed. For many, backup extends beyond the workplace with private files and information, photos and other media being a highly personal aspect of their backup requirements. So, what should you do to ensure that your backup is fit for purpose? Backups should be taken at regular intervals and certainly on a daily basis. The more recent the backup, the less upheaval and data loss your organisation will experience. Are you relying solely on an on-site backup solution? If so, you could be horribly exposed in the event of your business premises suffering from fire, theft or flood. Do you manually rotate backups with staff taking backup tapes or external hard drives off site? If so, when was the last time these were tested? Poor security, insecure passwords and a lack of user awareness and training can lead to data loss. A significant number of malware and security breaches are caused by users clicking on rogue links and opening email attachments. Password policies, user awareness training and user testing play a crucial role in mitigating these risks. If you do become a victim of Ransomware attack which encrypts your data, having a properly organised file structure will ensure that only a small portion is affected (meaning that other users can still access the files they need). It is important to thoroughly restore and test backups to ensure that they are fit for purpose when needed. Don’t Risk your Most Valuable Asset, Call Akita! For many businesses, the data and information they hold is their most valuable asset. Losing this is something which businesses often do not recover from and are forced to close. In the spirit of World Backup Day, contact Akita to discuss your backup strategy and find out how we can ensure that your organisation is properly protected, call us today on 01732 762675 or email sales@akita.co.uk. Akita’s offsite backup makes business-strength backup possible for Windows and Mac environments with an affordable, secure solution that seamlessly integrates into your existing infrastructure. Akita can remove the burden and manage your IT assets on your behalf with an IT audit.